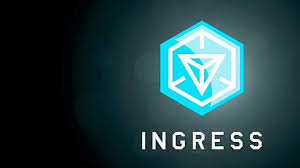 Just yesterday I decided to check out the app Ingress, an augmented reality video game created by Google. The game is similar to FourSquare in that you sort of check in to different place to score points and level up. The difference is that Ingress is a two sided war where you are fighting to control portals and territories in the real world. You can claim unclaimed portals or attack portals controlled by the enemy. I think that Ingress is a great game to help inactive video gamers to get out in the real world and get some low intensity exercise. It is pretty addictive if you are into that kind of game and it forces you to physically walk around to the different portals. I only started to play it less than 24 hours ago and I have already walked 8 km while playing it. We will see if I keep playing it long term, but so far I am hooked. I am pretty sure that Google created it to help motivate video gamers to get exercise. Download it and give it a try!